This year Gemma Acton will be featured as a regular on The Latest from 7NEWS, anchored by Michael Usher, covering the very latest breaking news in Australia and abroad, as well as up-to-the-minute developments on the biggest news events of the day. Gemma will join Michael live at the desk to discuss financial and business news stories making headlines and how these issues will impact Australian consumers. 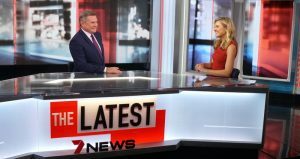 Join 7NEWS for The Latest, live from 11pm Monday to Thursday AEDT on Seven and 7PLUS.